Ready now!! This is a stunning two story, on a large walk-out lot backing to open space with views of Standley Lake and Denver. This home is adjacent to trails and down the street from the park. Gorgeous colors throughout the home, including a gourmet kitchen, and hardwood throughout the first floor. Added options - full walk out basement with 9' ceilings, air conditioning, covered deck. 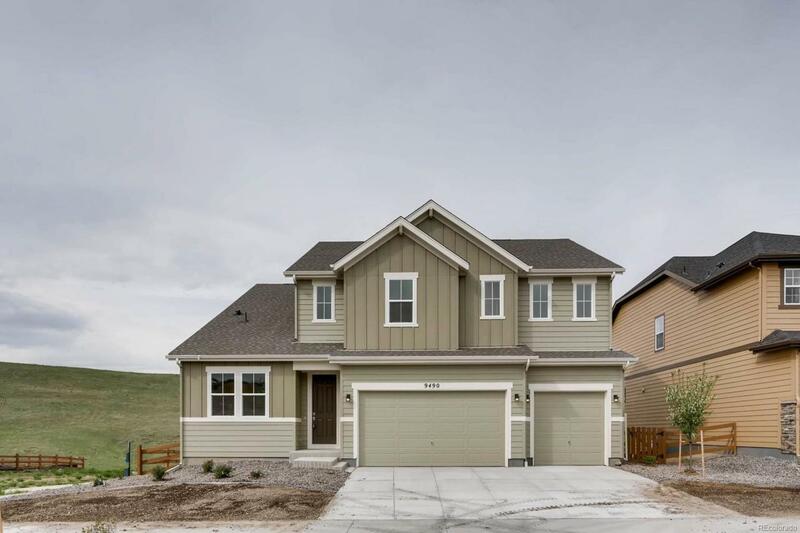 Don't miss this beautiful new home in the popular Candelas community!